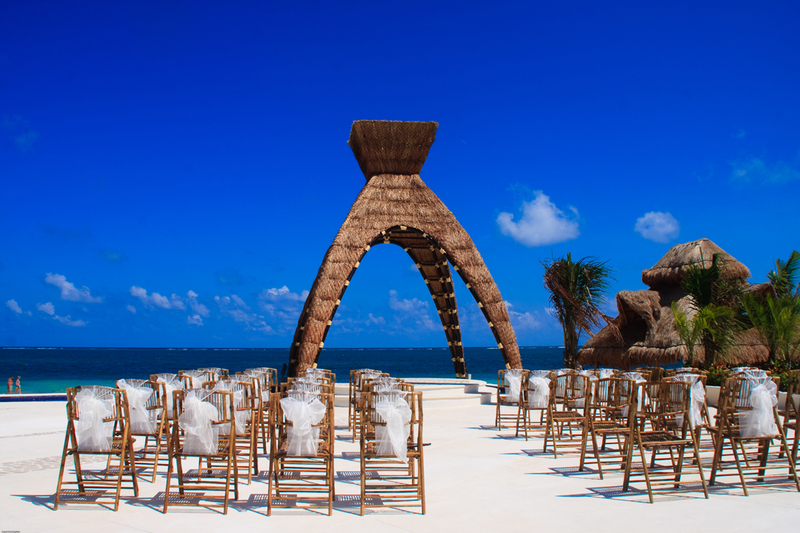 Dreams Riviera Cancun is the perfect place to have your destination wedding, which is why we are giving you a look at the just completed wedding gazebo. This photo provides a glimpse at the beautiful view our wedding guests can enjoy during the ceremony. I had the opportunity to visit the resort last weekend. The service was wonderful and the site is very beautiful.